This year, the rustic green look is back as the season’s most popular wedding décor trend! For 2016, bridal décor trends embrace the idea of bringing the garden inside—think elegant greenery, natural furniture and effortless style. To complement the boho chic bridal trend, 2016 wedding décor features wooden tables and chairs with sophisticated décor accent pieces. As for wedding flowers, oversized arrangements with tons of greenery are the season’s must-have floral designs. 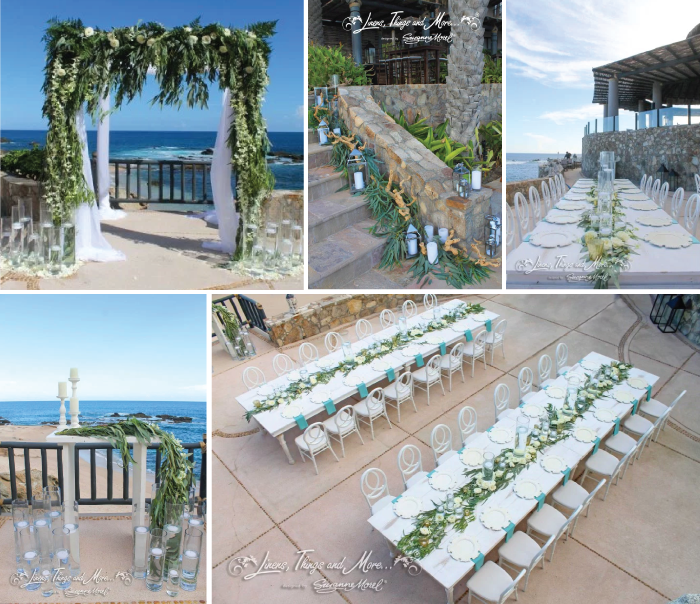 Luckily for our Cabo destination brides, hanging flowers and full bouquets look amazing against the sand and sun. 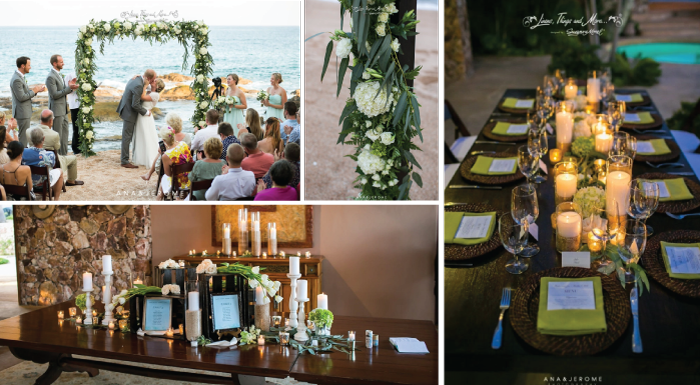 The rustic green décor trend is also a perfect match for a resort or private villa reception. It goes without saying that Cabo’s natural beauty is the ideal backdrop for a rustic, minimal décor design! The overall feel of this year’s wedding décor trend is natural and effortless, just like designing your wedding décor with Linens, Things and More…! Contact us today for a complimentary consultation about your wedding or event décor! This entry was posted in Accessories and decor, Cabo event design and decor, Cabo Flowers, High end set-ups, Special Event Decor in Cabo, Suzanne Morel, Wedding flowers Cabo, wedding locations in Los Cabos, Weddings and corporate events decor and tagged Cabo beach wedding, Cabo event decor, CABO EVENT RENTALS, Cabo flower trends, Cabo villa wedding, Cabo wedding decor, Cabo wedding rentals, hanging wedding flowers, high end wedding, Mexico wedding decor, Mexico wedding rentals, rustic beach wedding, rustic chic wedding, rustic green wedding, wedding entrance table, wedding flower trends 2016, wedding greenery. Best, Katelyn & Brandon, 5th February 2016 – Sandos Finisterra.